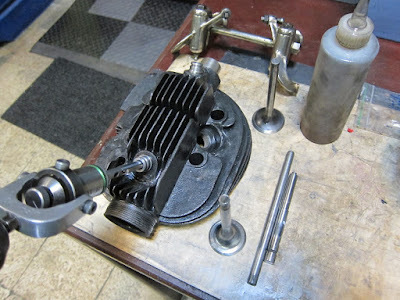 -Juris- You might be interested to hear how I reconditioned valves and guides in my 1926 Model 25 Norton. Bare nickel steel valves get scored in chilled cast iron guides very soon, especially the exhaust valves, so I thought I should do something about it. As I did not find any suitable modern replacement valves, I decided to use the old originals. 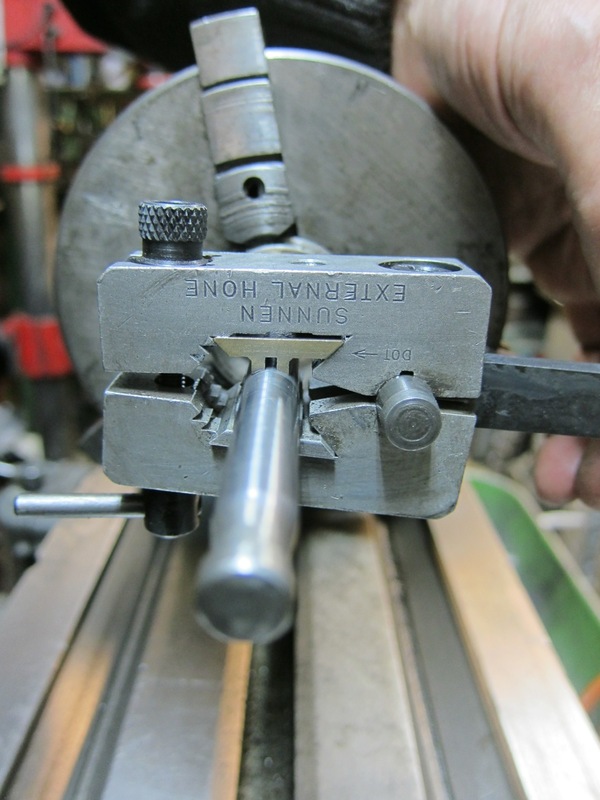 Maybe the whole process is a bit old fashioned and slow, but it gave me immense satisfaction from working with my own tools and not having to rely on other suppliers. I started with an old original Norton valve made of nickel steel, which had a scored stem. I had it hard chrome plated at a factory in Riga. 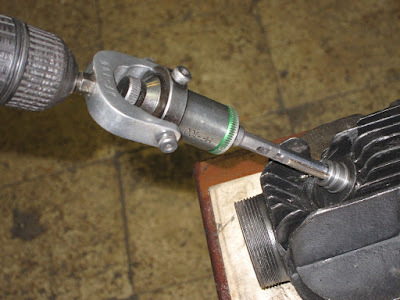 Around 0.25 mm was deposited on the stem diametre and I then put the valve in my lathe chuck and used a Sunnen external hone to hone/lap the stem down until smooth and within 0.01 mm along its length. This operation took the best part of a working day as I used to stop and let the stem cool when it got too hot. It was of course oiled liberally during the honing process and the feed was minimal as I did not want to score the stem. When the stem was finished the valve was reground in our new centreless “Comec” valve grinder. The valve guides were made of old camshaft cast iron and these were chilled. 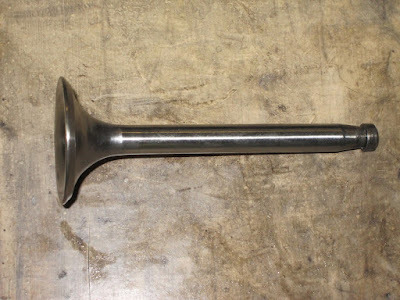 To get the necessary valve running clearance - 0.12 mm for the exhaust valve and 0.07 mm for the inlet I used our Goodson diamond valve guide hone. 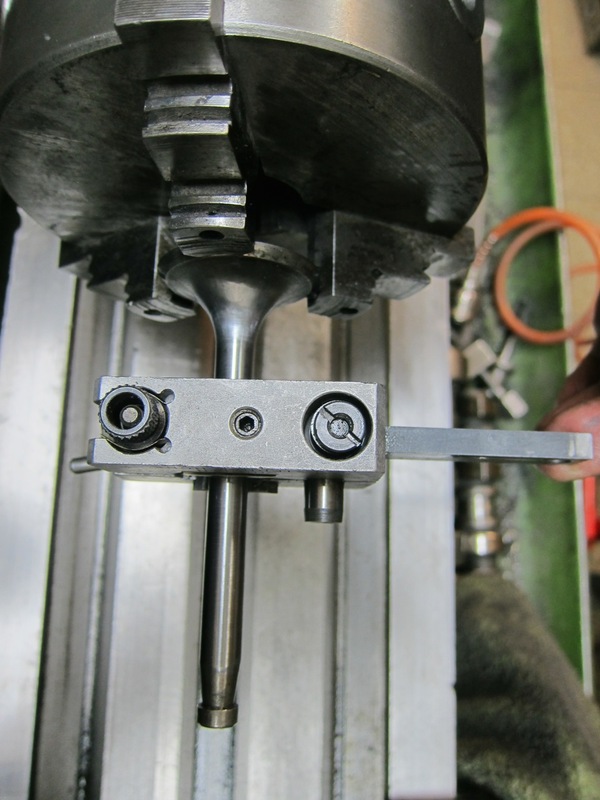 To check the clearance I used a go/no go gauge. 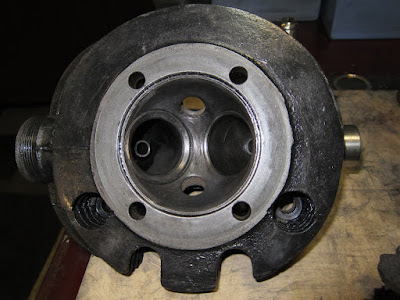 The old chrome -moly- vanadium valve seats I had put in in 2003 had behaved very well and the valve seat width had stayed almost at the width I had cut them to - 1.5 mm. The Norton liked the newly treated valves and guides and with a new piston it went like a bomb!